Michela and Attilio Dalpiaz, the Italian founders and owners of Slent Farm in the Voor-Paardeberg near Paarl, brought a true taste of Italy to South Africa when they introduced their first AYAMA Vermentino 2 years ago. 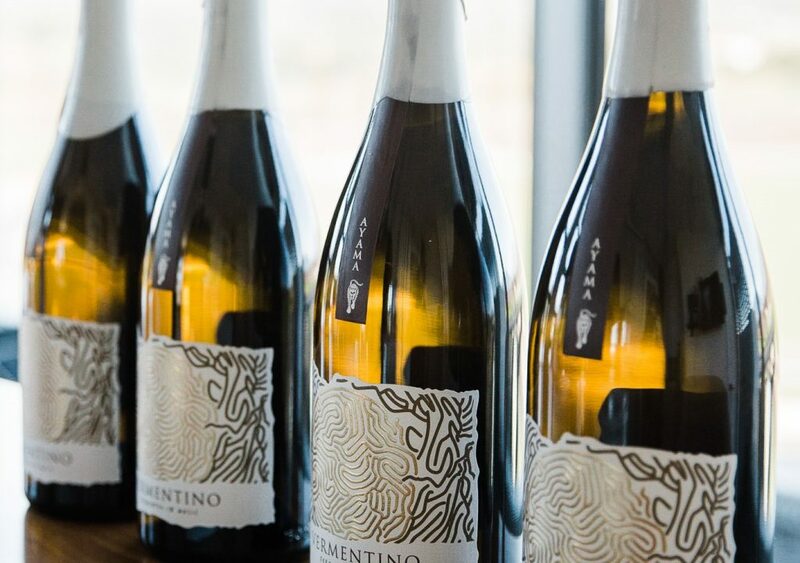 Being the very first vermentino to be grown and harvested in South Africa, the Italian couple, with a serious love for viniculture, have seen their dreams come true. The first official South African vermentino harvest took place in 2016, accruing incredible local and international uptake. The second vintage of the AYAMA Vermentino has now been harvested, bottled and released. Green almond, pear, white peach, lime and pink grapefruit zest with subtle notes of crushed rock minerality and saltiness best describes a glass of classic Sardinia Vermentino. The 2017 vintage is limited with only 5 350 750ml bottles, 100 magnums, 24 double magnums and 12 jeroboams available, each labelled by hand, many already sold at auction and making their way to their final destination across the globe. After six long years of propagation in quarantine, 2014 saw the first hectare comprising 3 360 vines of vermentino di Gallura finally certified and released from the nursery for planting at AYAMA. This historical year also signified a decade of memories for the Dalpiaz family, celebrating 10 years of living in South Africa. “We are extremely proud of this wine. Tasting richer and more exotic than last year, it is an example of how the South African soil and climate can be generous to new varieties introduced by passionate viticulturists and winemakers,” says Michela. For more information, visit www.ayamavermetino.com.